In March 2017, 132 states convened in New York to begin negotiations on a comprehensive multilateral treaty to outlaw nuclear weapons. Join Treasa Dunworth and Tilman Ruff for a conversation on the progress towards a nuclear weapons ban treaty and the challenges facing the treaty’s negotiators. Treasa Dunworth is an Associate Professor with the University of Auckland where she teaches in the area of Public International Law, International Peace and Security, International Criminal Law and South Pacific Legal Studies. Her research interests include the relationship between international law and domestic law, issues of arms control and disarmament, and questions of accountability of international organisations. Her current research project is examining the humanitarian discourse in disarmament and arms control. Prior to joining the Auckland Law School in 1999, Treasa worked with the Harvard Sussex Program on Arms Control and Arms Limitation and then with the Organisation for the Prohibition of Chemical Weapons (1995-1998) as a Political Affairs Officer. More recently, she has worked on a project with the New Zealand Ministry of Foreign Affairs examining international law issues involved in push to open nuclear weapons disarmament negotiations. Tilman Ruff is a public health and infectious diseases physician, Associate Professor in the Nossal Institute for Global Health, University of Melbourne, and medical advisor to the International Program of Australian Red Cross. Since 2012 he has served as the first Australian Co-President of International Physicians for the Prevention of Nuclear War (Nobel Peace Prize 1985). He was founding Australian and international Chair of the International Campaign to Abolish Nuclear Weapons (ICAN). 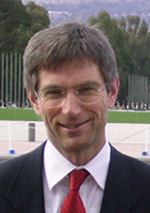 Tilman is past national president of the Medical Association for Prevention of War (Australia). In 2008 he was the first civil society representative on an Australian government nuclear Non-Proliferation Treaty conference delegation, and one of two civil society advisors to the International Commission on Nuclear Non-proliferation and Disarmament. He was a civil society delegate to each of the International Conferences on the Humanitarian Impacts of Nuclear Weapons in Oslo, Nayarit and Vienna in 2013-4, the UN Open-Ended Working Group on nuclear disarmament in Geneva in 2016, and the negotiating conference for treaty banning nuclear weapons in New York in 2017. In 2012, Tilman was appointed a Member of the Order of Australia “for service to the promotion of peace as an advocate for the abolition of nuclear weapons, and to public health through the promotion of immunisation programs in the South-East Asia – Pacific region”.